Not new, but absolutely loving it this week. Classic Duo: Music for Cello and Guitar, by Boris Andrianov and Dimitri Illarionov, available from Amazon, or preview it here. 2.) 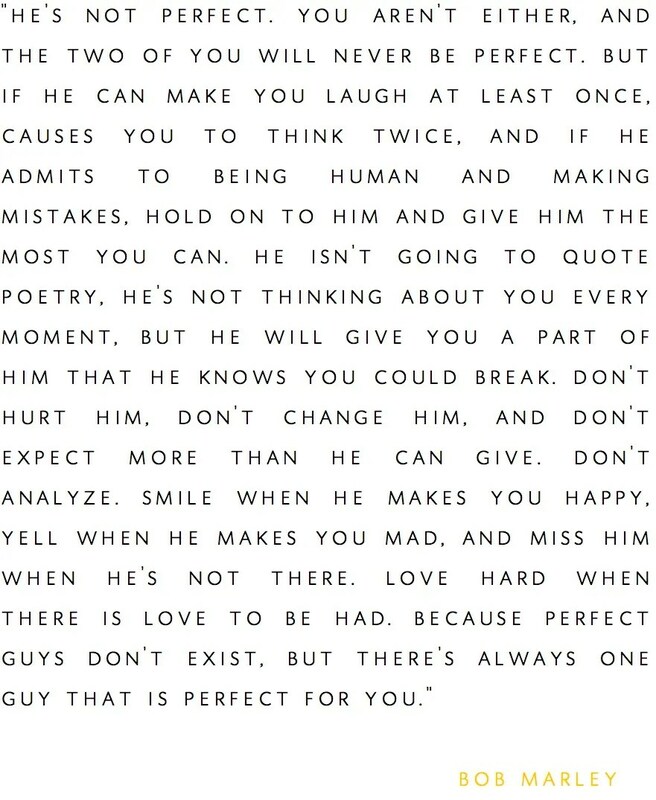 This poster/this Marley quote. Ok, it’s sappy. But I like it. Pictured above: Burt’s Bees tinted lip balm (my shade Red Dahlia); Revlon: Just Bitten (my shade Instinct) and Burt’s Bees Lips Shimmer (my shade Caramel). The two Burt’s Bees are kind of interchangeable–the tinted lip balm has a bit more color, the shimmer has a bit more… yep, shimmer. Both seem more like chap stick than lipstick, (so I can put it on without a mirror!) And the Just Bitten stays on forever. My lipstick-acquisition phase has reached previously unknown heights. More in the “frivolous pretties” category. Yes, it’s called Summer. Yes, I know it’s September. Hush. I’m a sucker for Burberry perfume, but every time I get a bottle of the real stuff (Burberry Brit, Burberry Weekender, Burberry… whatever) it’s always a bit too deep for daily wear. I’m the girl who wore Elizabeth Arden Green Tea four years straight—I like the light, nature-y smells. (I think I can trace the popularity of the “fresh/clean” perfumes in this country to the Protestant roots of American culture—but then again, I’m a little nuts.) So yes, Burberry Summer- I love the citrus-y overlay to the basic Burberry scent. And it’s such a beautiful shade of pink, gleaming amidst the clutter of my bedside table. Because apparently I’m Wonder Woman and don’t actually need to sleep. Sigh.